Jamaican Jerk Chicken is really not that hard to make . I’ve heard about jerk chicken quite a bit , read about it , but never really tried it . Until finally yesterday i decided to try to make this popular dish . First you make the marinate for this chicken , and don’t ask me why they call it jerk . And the ingredients are not that complicated , probably most of you should have it in the pantry already . Garlic , ginger , onion , allspice , if you don’t have allspice , you can always make your own allspice , which is with ratio 1:1 of cinnamon and clove . I used bone in chicken thighs , you can always use whole cut up chicken also . The recipe can be broiled , but i grilled them last night , the smells was so delicious , and the who would have thought combination of cinnamon , cloves and ginger garlic could be so delicious !! 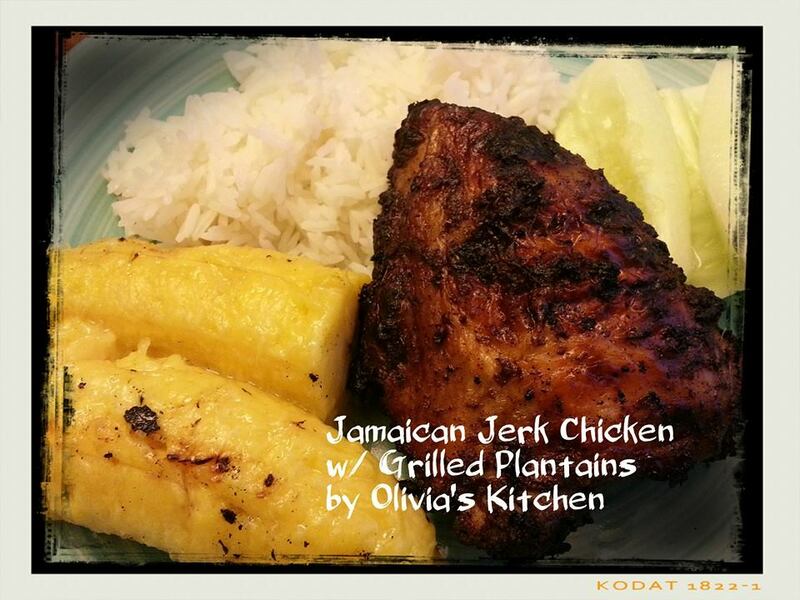 Serve it with rice , or you can grill plantains for a real jamaican dish ! About 6-8 pieces of bone in chicken thighs , with skin on , or you can use whole cut up chicken also . 1. 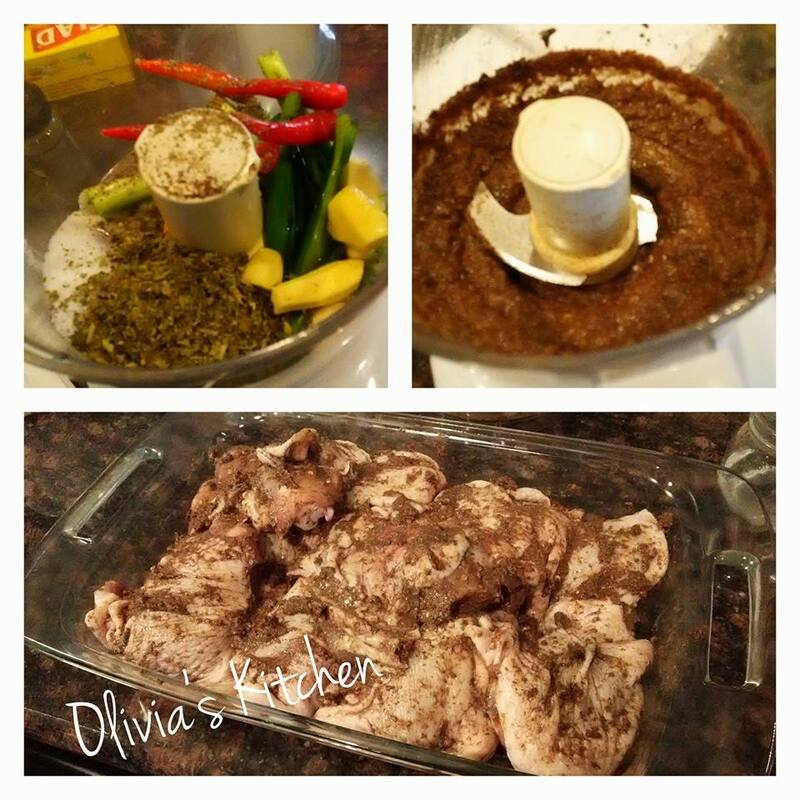 Blend all ingredients in food processor until mixture becomes smooth and pasty , marinade your chicken thighs with the spices . Rub all over the chicken and let it marinade for at least an hour , up to overnight . 2. Grill the chicken skin side up for 25 minutes , then turn it around and grill for another 25 . Make sure the juices run clear to make sure the chicken is totally done .